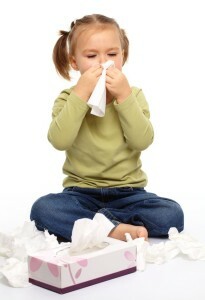 Is Your Pasadena MD Indoor Air Quality Making You Sick In Winter? Your Pasadena’s home indoor air climate could be causing you problems with your health during the wintertime. But how is that possible if you have filtration or have had your ductwork cleaned up? During cold seasons, heating systems work hard for us to heat up our homes. And most of us in the area want our homes sealed up pretty tight to ensure our energy isn’t seeping out through cracks around windows and doors or areas with poor insulation. Heated air is wonderful and necessary, but sometimes it can be the cause of problems like sinus infections, dry skin, psoriasis, asthma, upper respiratory infections, or other breathing difficulties. Most of the time people are not aware about how the air quality inside our Pasadena homes makes a difference in the quality of our lives. breathing everything our indoor air contains for hours on end every day unless we take measures to have it cleaned and balanced. Did you know that the average American spend nearly 90% of their time indoors? For the very young and the elderly, that figure is likely to be even higher. Studies indicated that pollution can be two to fives times to sometimes 100 times higher indoors than the outdoor air pollution! This means nearly everyone has a greater risk of getting sick from poor indoor air quality. In fact, the EPA ranks poor indoor air quality as one of the top five public health risks. Is There Such A Thing As Too Much Heat? Ask any doctor and they’re likely to confirm that it’s better to be sick and breathing a colder temperature of air than to be sick and be forced to breathe blowing warm air or air that is dry from the heater or furnace system. Dry air causes sinus infections, dry skin, breathing problems, and scratchy throat just as polluted air can. As humans, we need a certain amount of moisture in the air to stay healthy. Our Pasadena home’s heating unit and ductwork may be cleaned and maintained well (if not, it should be in order to keep contaminants and bacteria at a minimum), yet we still wind up staying sickly. It could be just the dry air getting to you if this is true for your home. By cleaning up your Pasadena HVAC system and adding humid air to the home, you can easily stay healthier this winter. Let our professionals at Brumwell’s Instant Heating and Air Conditioning help you with your indoor air quality so you have the best, safe and healthy air. If you are looking for Indoor Air Quality Services in Pasadena, MD, please call 410-360-0002 or fill out our online request form.